The lucky winner of Energy Matters’ Tesla Powerwall home battery system competition has been announced. The Powerwall competition was part of Energy Matters’ birthday celebrations; marking a decade of supplying and installing quality solar and related technologies across Australia. The winner of the Tesla Powerwall system, chosen via a random draw, is Mr. A Wong, from Mont Albert in Victoria. Mr. Wong, who had ordered a solar power system from Energy Matters, will reap the benefits of storing his surplus high value electricity instead of exporting it to the mains grid and only receiving a few cents per kilowatt hour for it. The Tesla Powerwall home battery will be retrofitted by Energy Matters’ energy storage experts to ensure Mr. Wong’s system operates optimally. Tesla Powerwall has been credited with kick-starting the Australian home energy storage revolution – and in a big way. A recent report from The Australia Institute indicates 1 in 4 Australians want to generate their own power and store it; with view to disconnecting from the mains grid altogether. More than 80% of solar households are considering buying battery systems. Energy storage has captured the Australian public’s attention in much the same way solar panels did a few years ago; offering the potential for households and businesses to boost their energy independence. Energy Matters has been quickly gearing up for the battery revolution; building on years of experience of installing energy storage solutions throughout Australia. The company also recently launched a new addition to its storage stable; the Enphase AC Battery, which is now available for pre-order via a special limited offer. The Enphase Energy Storage System is based on modular units, providing an ideal solution for homeowners who wish to start out small and then build on storage capacity at a later date. Also available from Energy Matters is the Fronius Solar Battery; which is best suited to applications where large capacity and discharge capabilities are required. 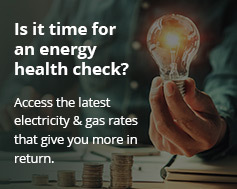 For those interested in the energy savings potential of retrofitting battery storage; Energy Matters offers a solar + storage calculator and an obligation-free retrofit quoting service. A range of full solar + storage systems available from Energy Matters can be viewed here. The company also offers custom designed solutions and can be contacted on 133 SUN.